At only 12.5-ounces with a packed size slightly larger than a can of beer, it’s easy to rave about Sea to Summit’s new UltraLight Mat strictly based on its small measurements. There is however, so much more to their new featherweight pad than a low ounce count and compact size. Having used it multiple times over the last three months, it is the comfort and innovative design elements that I find I appreciate above all. 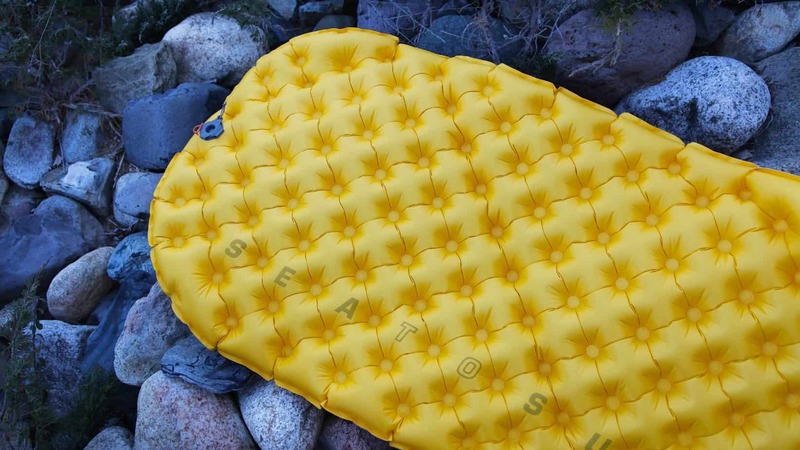 The most unique aspect of the UltraLight Mat is the dot-welded construction which gives the pad its quilted shape. If you have ever slept on an inflatable mattress, particularly one with longitudinal baffles running the length of the pad, you know how unstable they can be. Rolling side to side, the pressure shifts from baffle to baffle creating an unsettling dynamic that can cause sleepers to slip off the edge of their mat. The Sea to Summit mats employ dozens of small Air Sprung Cells that when compressed have minimal effect on the adjacent cells. The result is a pad with greater stability. 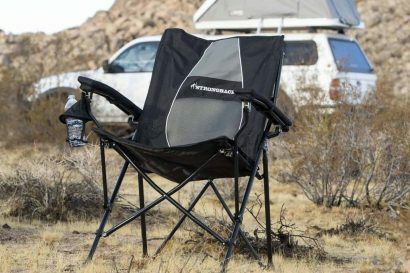 Constructed of 40-denier rip-stop nylon, the face fabric offers respectable durability, isn’t as noisy as other fabrics on the market, and thanks in part to the dot-welded construction isn’t so slick it’s hard to stay positioned on the pad. 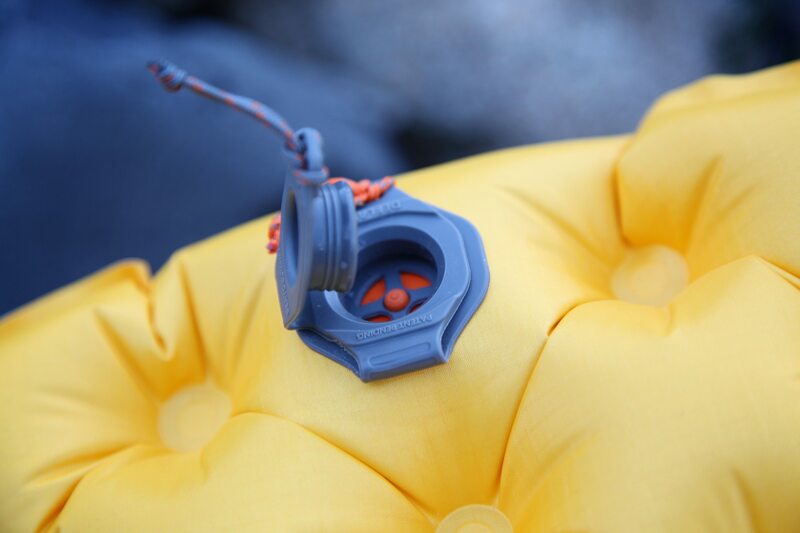 There is an anti-microbial treatment in the TPU coating to prevent the build-up of mildew due to moist air trapped in the mat, and the Multi-function valve makes me never want to use any other means of inflation or deflation––ever. The large volume valve has three distinct functions. 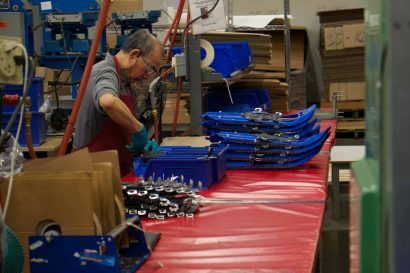 The first layer of the valve opens a large aperture to help expel air quickly to expedite the packing process and to make sure all the air makes it out of the mat. The second layer of the valve includes a one way-shutter for easy inflation. 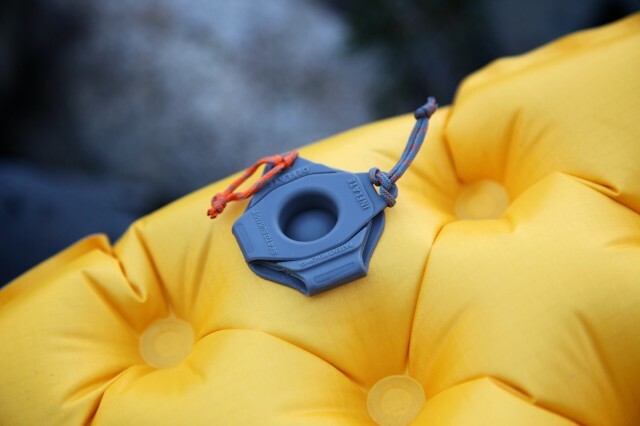 This not only permits large volumes of air to enter the pad without having it escape between breaths, but that one-way shutter can be tapped with your finger to release small bursts of air to fine tune the pressure. Other welcome attributes include a high quality, yet ultra-light stuff sack and a repair kit with six pre-glued patches. Folding the pad does take a bit of precision to get it to fit into the appropriately sized stuff sack, but the pack-up procedure is quick after a little practice. At a shade over 2-inches thick, I find the UltraLight Mat to be more than comfortable, and while I’m of a physical size that often fits most regular pads, I think I’d spring for the four added ounces and pop for the larger pad. At 78-inches long and 25-inches wide, that extra real estate would be nice to have under my 72-inch body. The 72-inch by 21-inch dimensions of the regular sized mat are common to ultra-light pads and still provide my plenty of comfort. 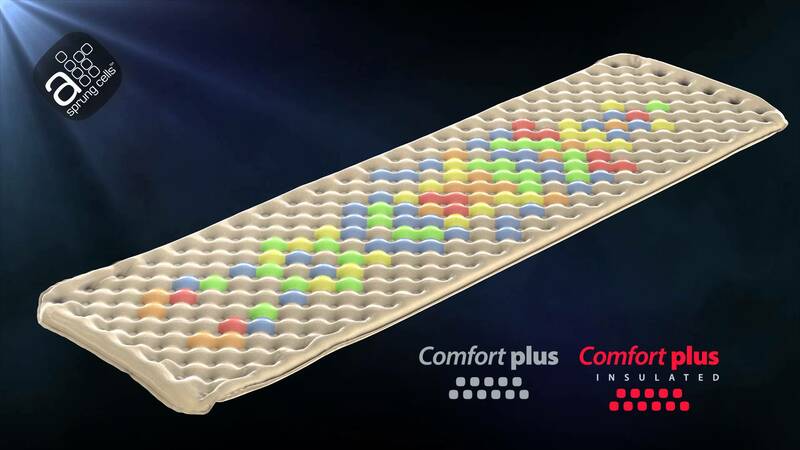 This graphic illustrates how each individual Air Sprung Cell isolates pressure points much the way a traditional spring mattress does. To achieve the UltraLight’s ethereal weight, it had to be constructed without any additional insulating elements, and the R value is quite modest. With that said, it has kept me relatively warm in temperatures as low as 38ºF. With a retail price of $99, it’s priced within reach of its peer products, but might have an edge over most of them with the dot-welded construction and clever high-volume valve. 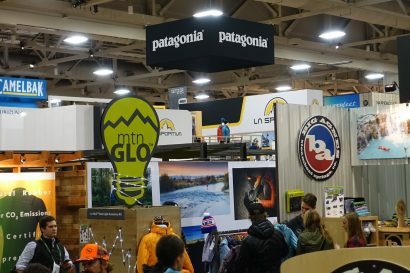 It’s another great product from Sea to Summit. 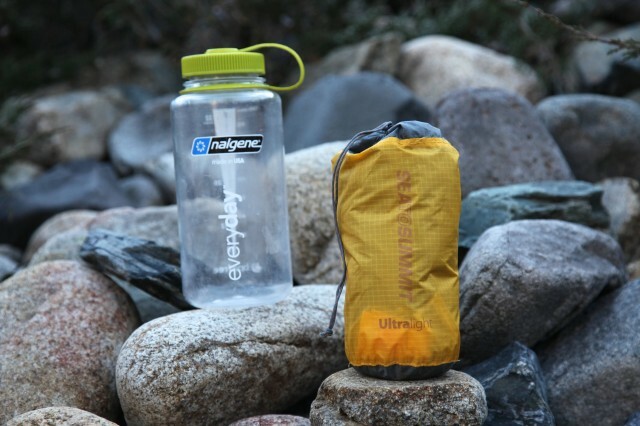 Considerably smaller in size than a Nalgene, the UltraLight Mat is one of, if not the smallest pads I’ve ever used. And one of the more comfortable.